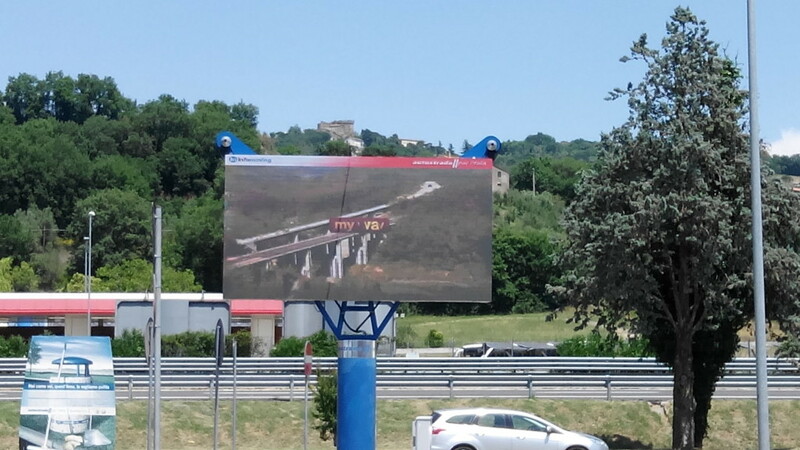 Digital Signage is the digital evolution of the traditional outdoor communication based on billboard advertising and it takes place through monitor and displays of different sizes into points of sale in public spaces or corporate buildings. 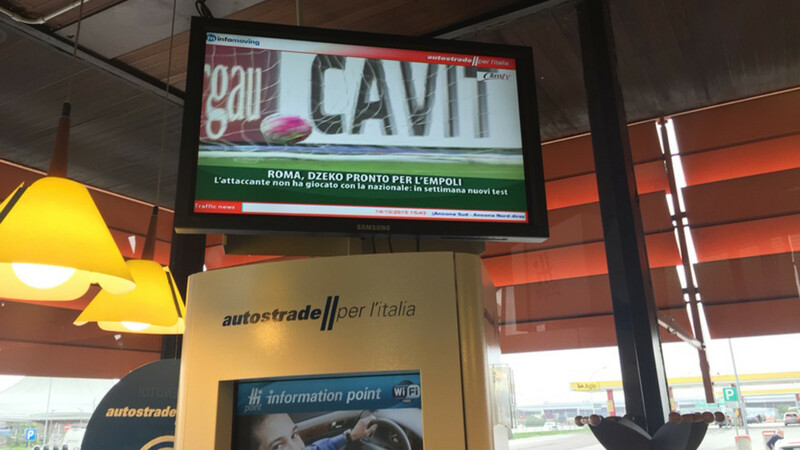 The presentation of any type of media content simultaneously: video, audio, text, images, applications as news, advertising, weather forecast, interactive content, etc. 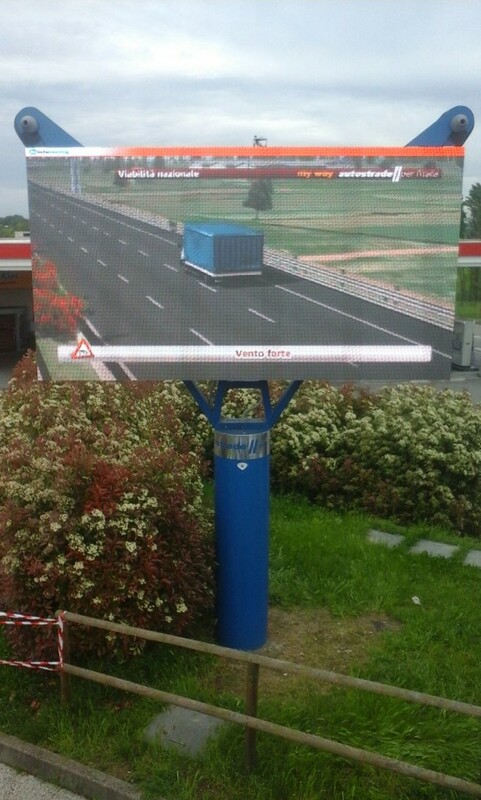 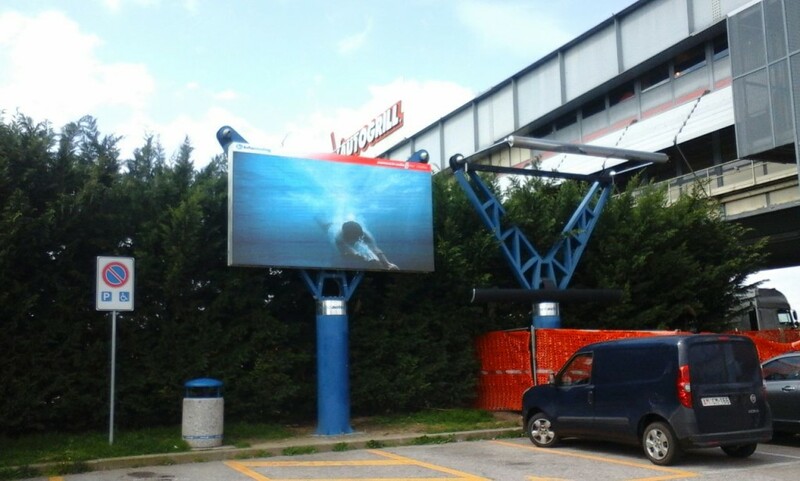 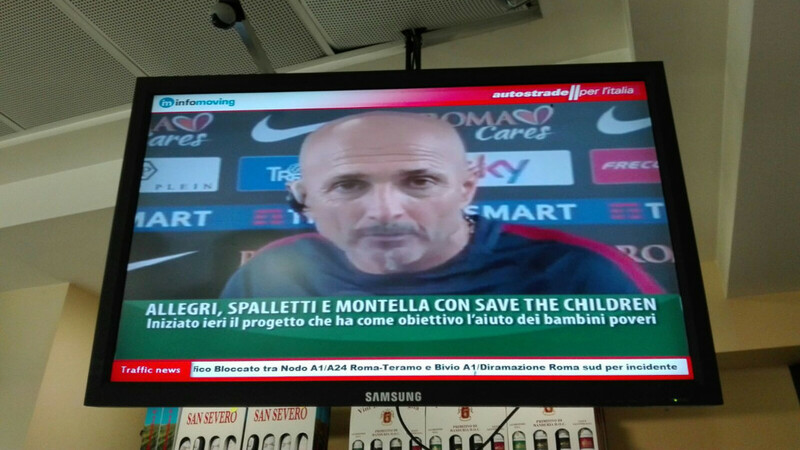 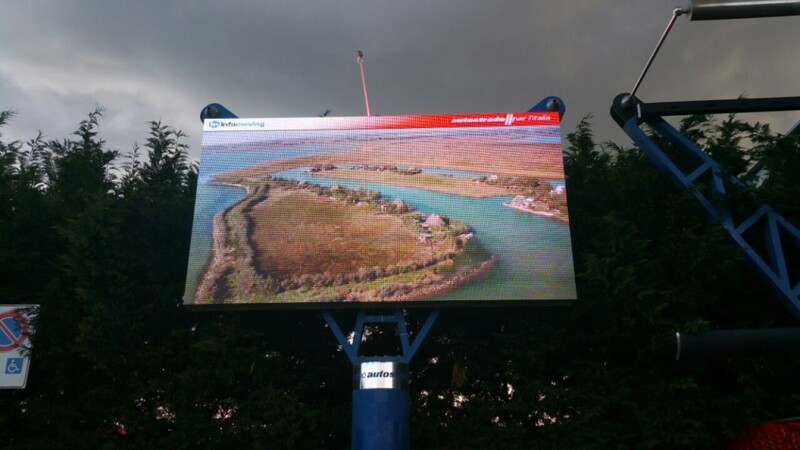 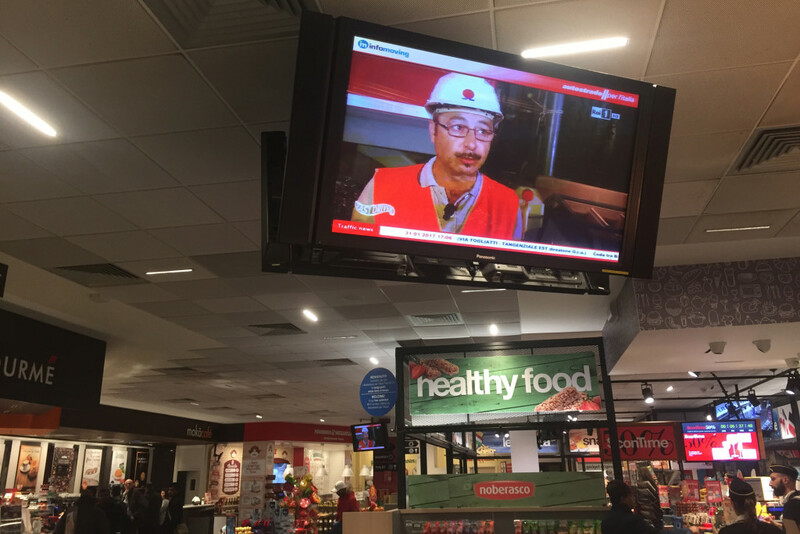 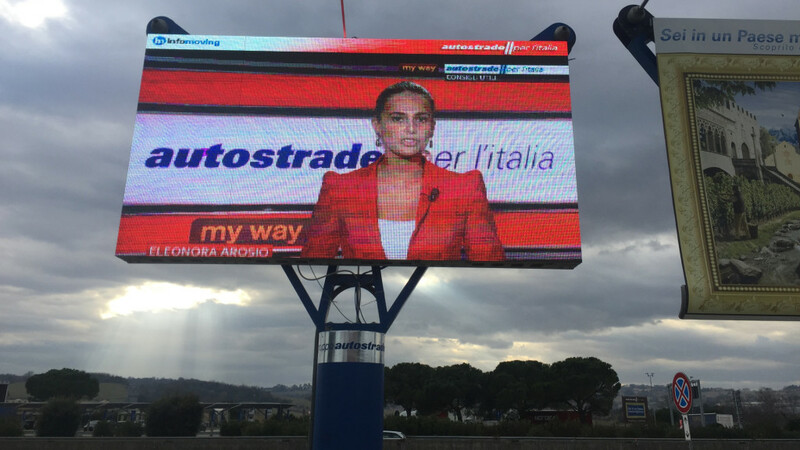 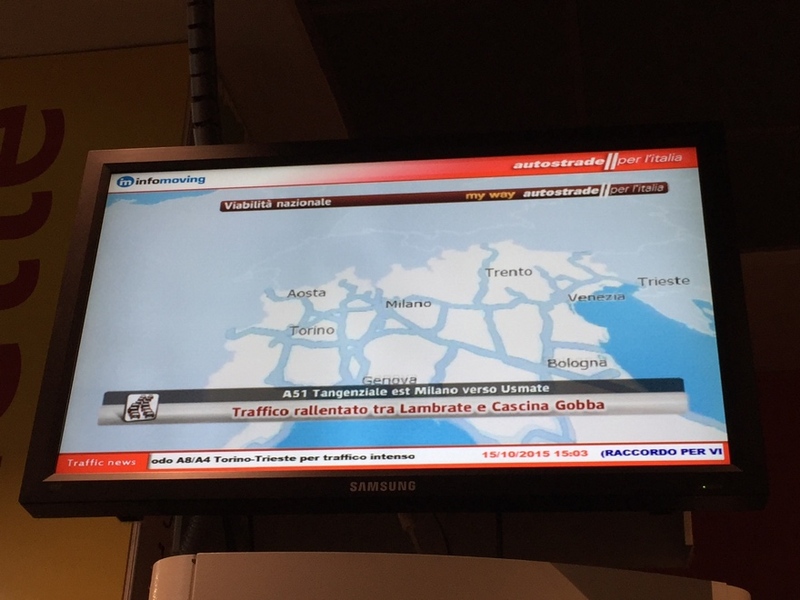 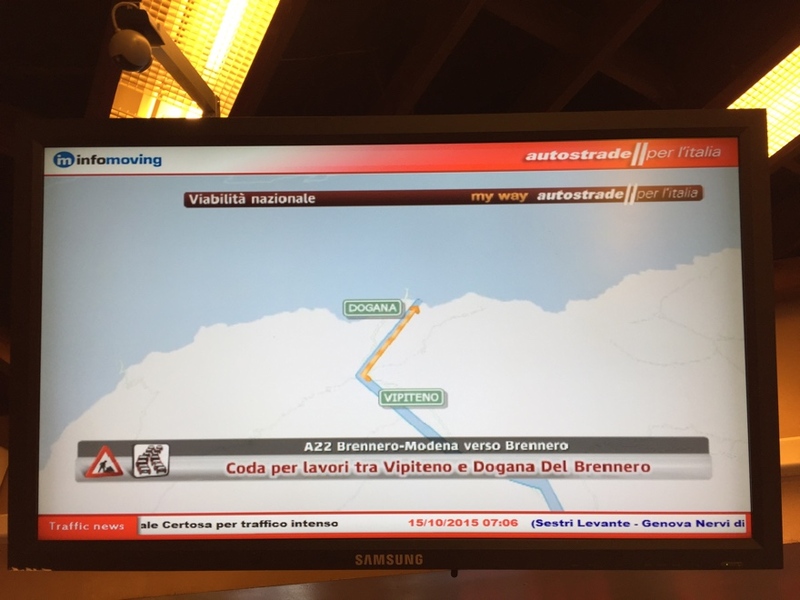 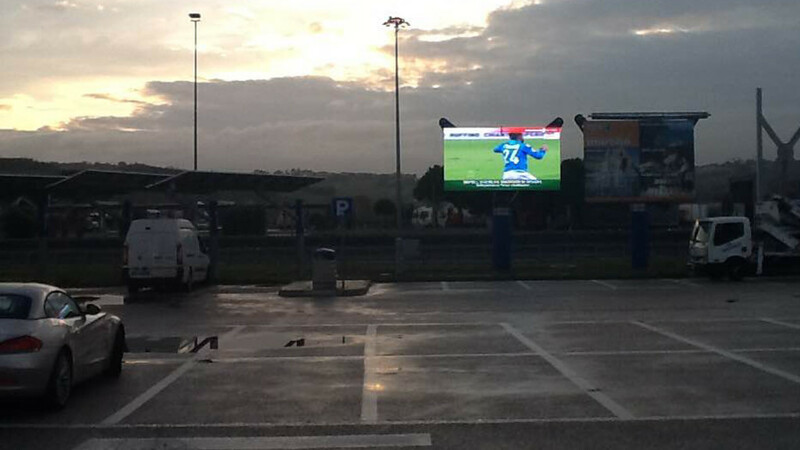 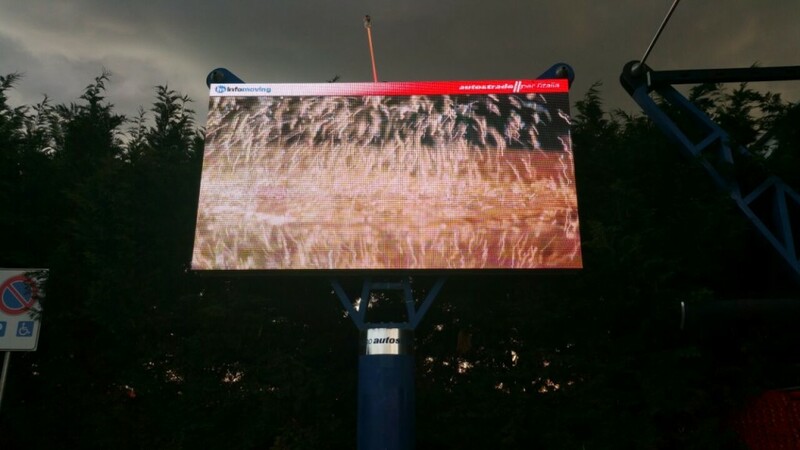 AVS Group manages with Autostrade per l’Italia the “Infomoving” platform that displays in 110 Service areas, located throughout the Italian highways, with more than 200 indoor screens and 15 large outdoor ledwall.